I am a path situated between high natural masses. 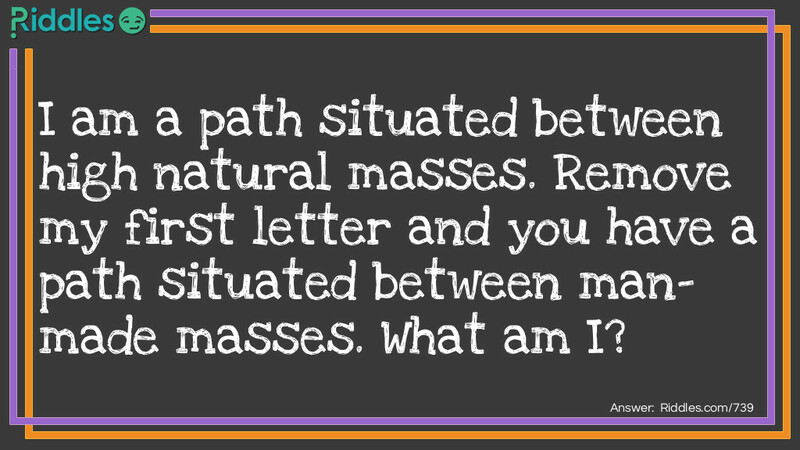 Remove my first letter & you have a path situated between man-made masses. Remove my first letter Riddle Meme with riddle and answer page link.